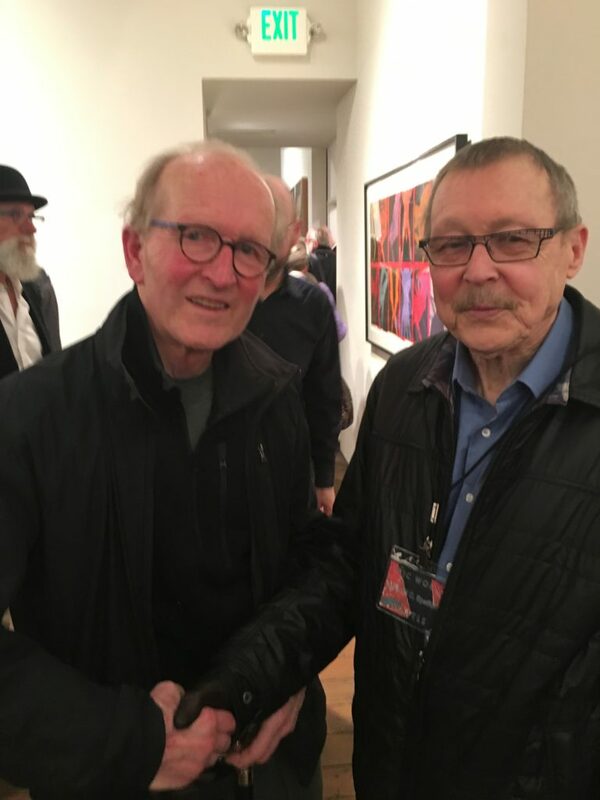 First, congratulations to Spike Mafford and Lisa Dutton Spafford for organizing the spectacular three gallery retrospective of Michael Spafford’s epic work. 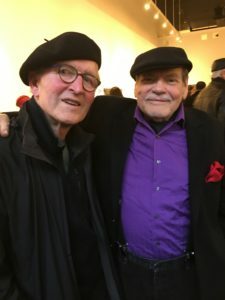 Michael’s contributions to Seattle’s arts community are legendary and certainly, I owe my own career to Mike. Without his encouragement, I may have ended up an Urban Planner! The exhibitions at Greg Kucera Gallery, Woodside/Braseth, and Davidson Galleries are breathtaking. Mike, dear friend and mentor, I admire and love you. That same evening, two other friends, Steve Jensen and Alfredo Arreguin had exciting openings. Alfredo’s at Linda Hodges Gallery and Steve at Abmeyer+Wood. Steve’s Viking images and vessels are astonishing and Alfredo’s paintings always glorious. 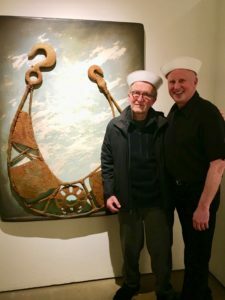 In honor of the ship theme and for fun, Steve encouraged visitors to don sailor hats – here we are! Alfredo, always good to see you, amigo! Looking forward to my own May opening at The Art Spirit Gallery in Coeur d’Alene, Idaho. 17 brand new paintings created since February! !